Access All Areas have some great new resources to download this week, courtesy of Evgen Radchenko of JeksonGraphics. This set of 12 vintage outdoor themed logos are fully editable (including the text) to allow you to create trendy adventure labels and emblems for travel sites, adventure blogs, magazines, t-shirt prints and more. They come in vector file formats for Illustrator & Photoshop and all the typography is created using freely available fonts so you can retain the original design style. Evgen Radchenko is a vector artist who loves traveling and vintage design. These passions heavily inspire Evgen’s range of design resource products within the JeksonGraphics store, with his collection of ready made icons and templates all featuring a classic design style. If you’re ever in need of assets to create artwork based on an outdoors theme, his premade elements make it easy to piece together the perfect design. 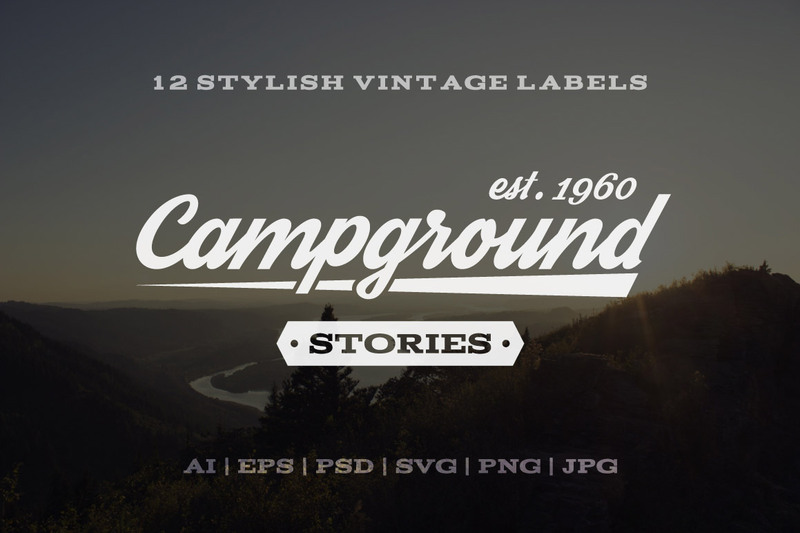 This set of 12 outdoor vintage labels and logos is now available for Access All Areas members. The download package contains a variety of Illustrator & Photoshop file formats, alongside a help file that provides directions on where to find the series of freely available fonts used in the original designs. Use the Type tool to edit the wording of your preferred logo to customize it for use in your own projects. These outdoor vintage labels and logos look beautiful! Getting bunches of information about logos, one of logo I find for my websites, after reading this post getting lots of knowledge regarding to logo, thanks for sharing.